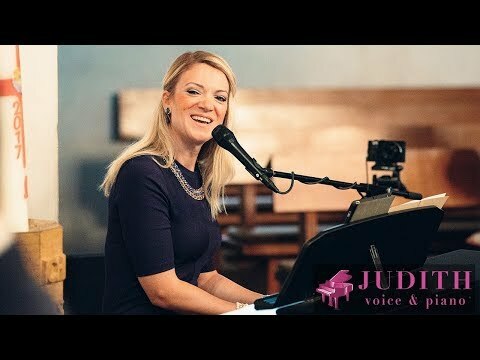 Judith is a professional singer & pianist based in Houston, Texas. Excellent and high class pop/jazz/acoustic-music with piano and vocals for your event or wedding. Born in Germany Judith graduated at the University for music and drama in Hanover in jazz/rock/pop voice and piano, worked as a voice instructor for more than ten years, lived and played in London (UK) for years and released several CDs. In the past two years Judith toured around the globe until she now settled in Houston, TX. Judith is amazing she is so sweet and works with your every need. Her voice is beautiful and it’s magical when combined with the piano. Amazing!!!! Couldn't have asked for a more perfect singer for our wedding ceremony. She made our day so special, and played all of the songs we requested. She did a FABULOUS job!! Thank you so much, Kendall! It was a huge pleasure to sing and play for you and your wonderful family! You've looked like a bride from a magazine, and I wish you both simply all the best for your future together!!! I also hope our paths cross another time (I'm also available for Christenings or anniversaries ;-))! Sending you a big hug! 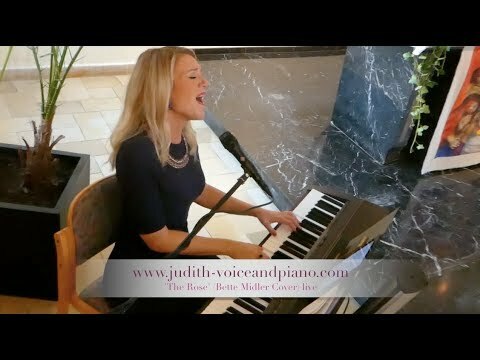 Judith has a voice that is like an angel. She helped to make our surprise party a wonderful time. She was very accommodating, very personable, and really felt like one of the family. All the time in doing this she also kept everything very professional and kept us informed of what was to be expected and even surprised us with a few extra songs that we did not expect. Our guest loved our time with her and loved her voice. I would definitely recommend her and will use her again in the future!! Judith was organized, friendly, played a lovely music and one of the guests even sang with her. Great experience. High class and professional live music for your event! A soprano Pop / Jazz / Rock / Soul pianist/vocalist plays your favorite tune in a special acoustic arrangement to make your happening unforgettable. 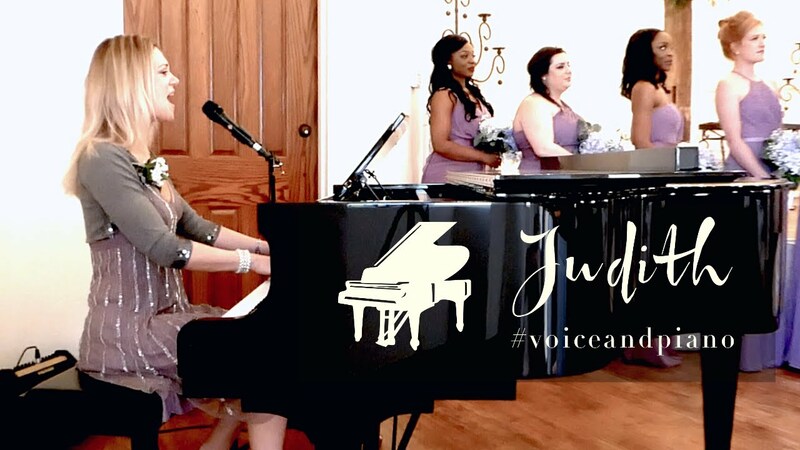 Judith Severloh is a singer, songwriter, piano player and vocal coach based in Houston, TX. She has graduated in 2009 majoring in Jazz/Rock/Pop voice at the University of Music and Drama in Hanover, Germany. As the singer-songwriter “youdid”, she won the German Rock & Pop award as “best newcomer” and “2nd best female singer” in 2008. She also released her debut album called “who i am” as youdid in 2010 and subsequently toured in 2011 with her trio (Lukas Pamin drums, Michael Schugardt bass) as part of the “Songs & Whispers” program through Germany and the Netherlands. An EP called “Empty My Head” followed in 2013, and a single “Closer To The Edge” was released in June 2013. After that Judith moved from Hanover (Germany) to London (UK) to follow the roots of Pop-music, and now she works in both countries. 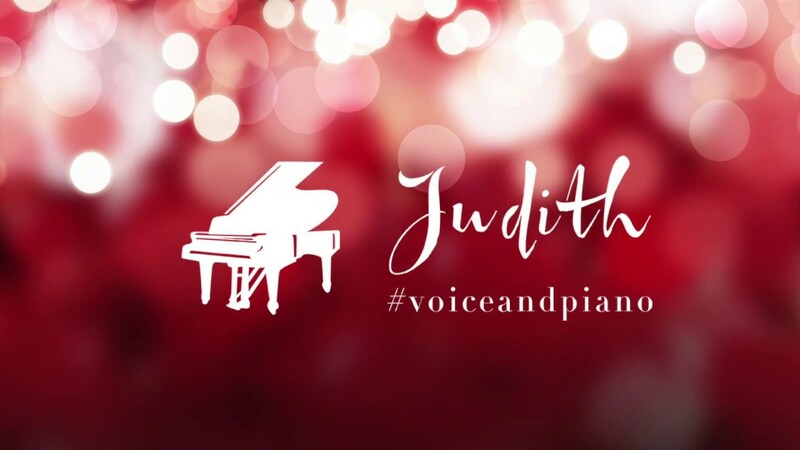 Judith is one of the most sought-after female singers in London and Northern Germany, in part due to the fact that she is able to accompany herself on the piano. She is being booked solo, in smaller duo/trio lineups or with a full 8-piece band. Her sensitive and clear voice is music for the heart and soul, that’s why Judith is being booked a lot for weddings in all kinds of different settings, where she regularly lends another romantic highlight after the tying of the knot with songs like the spiritual “You Raise Me Up” or “A Moment Like This” by Kelly Clarkson. Yet Judith’s musical spectrum is widely spread. She is also being booked for champagne receptions, dinner music and vernissages with subtle background music (i.e. just piano and voice) or with a full-energy show, no matter if solo or with a full band for the whole evening. E-Piano (Nord Piano 2 HP) + microphone (Neumann KMS 105), amp (AER compact). For bigger events with more than 100 people I require a full PA system with at least 1 stereo channel (piano) and 1 microphone channel with phantom power.